Want lots of cute puppy names for boys? Look no further. 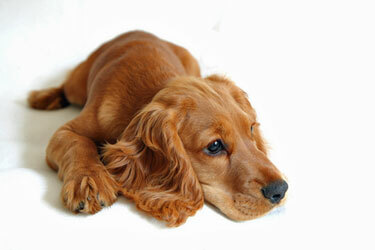 You'll find something very special for your little Cocker Spaniel puppy in our comprehensive directory. Just scroll down and take a look! 'A to C' - Cute Puppy Names for Boys! Top Tip: If your family can't agree on a particular name, why not put your short list of names in a hat and ask someone to make the choice? Need More Cute Puppy Names? If you've not managed to find something that you and your family really love from the above lists, you'll find many more cool puppy names in the following - It's only a matter of time before your find just what you're looking for!